Petroleum geologist, Larry Brogdon, has partnered with 5 M’s Minerals Management of Fort Worth, bringing with him more than 40 years of oil and gas production experience to the growing specialty software firm. Brogdon will add to the powerhouse of talent dedicated to ensuring that royalty and mineral interest owners have the information they need to manage their oil and gas assets at the full service mineral management firm. Petroleum geologist, Larry Brogdon, of Summit Cove Investments, L.P., has partnered with 5 M’s Minerals Management of Fort Worth, bringing with him more than 40 years of oil and gas production experience to the growing specialty software firm. Brogdon will add to the powerhouse of talent dedicated to ensuring that royalty and mineral interest owners have the information they need to manage their oil and gas assets. 5 M’s is a full service mineral management firm, with a full range of services available on demand. “I am very excited at this opportunity. Teaming with 5 M’s made perfect sense as they are currently providing mineral owners with technology that has a revolutionary impact on the way that they manage their assets. With a simple click, MineralWare allows clients to access their lease documents, understand their deductions, recover unpaid funds and verify their payment amounts. It beats the socks off the old way mineral owners used to troll through boxes for information, wasting time and failing to actually manage the asset. The oil and gas industry has embraced technology and mineral owners need to do the same,” said Brogdon. 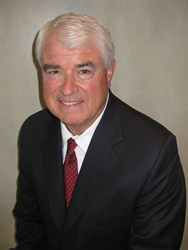 Brogdon is a partner at Four Sevens Oil Company and an early Barnett Shale play pioneer. As a team, they sold more than a billion dollars in assets to companies like XTO and Chesapeake. Brogdon is currently the Chairman of the Advisory Board of the TCU Energy Institute, teaches the very popular “Prospect to Production” course at the University and actively mentors students planning to enter the oil and gas industry. MineralWare delivers the information clients need to make smart decisions regarding new leases, up-to-date bonus acre rate pricing and production values of wells. In addition, clients can track variations between what has been reported to the Railroad Commission and their checks, helping to ensure a trustworthy relationship exists between oil & gas operators and their clients. 5 M’s Minerals Management was founded in 2014 by John Baum, Ph.D. and Ryan Vinson, CPL, MS. 5 M’s is the cutting-edge business that created MineralWare, a software system that delivers mineral owners instant access to current information about their assets on any Internet ready device. MineralWare averages just $100 a month for the average user. Mineral management services are provided at an affordable hourly rate. 5 M’s is an acronym for “Managed Minerals Means More Money.” Learn more about the innovative service at http://www.MineralManager.com.